Do you ever just feel depleted? Like you’re running in place? Do you feel like you have given all you have? Do you feel like you just have to get off of the merry-go-round of life? 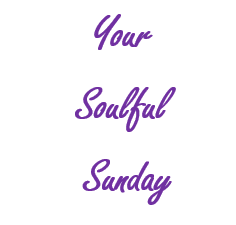 This weekly series, Your Soulful Sunday, will help fill your life back up with purpose and alignment. Enjoy. Our first article is from Gretchen at Mind Body Green. Don’t you push yourself enough? This January, nurture yourself with Nourishing New Year. Instead of focusing on flaws to fix, this January we’re nurturing ourselves back to balance with simple, grounding steps. For the next two weeks, mindbodygreen will share with you a story a day inspiring you with simple ways to nourish yourself, your community, and our world through eating, moving, giving, creating, and loving. Follow these common-sense principles along with us for the next two weeks and start the new year with a calm mind, connected spirit, and balanced body. Check out the full plan here! When it comes to our mind, we can be really hard on ourselves. How could I have forgotten that detail? Why can’t I just relax and have fun? PreviousPrevious post:Highlights TV Show Features Charleston Restaurant Week & WV Hunting & Fishing ShowNextNext post:Who Can Be a Foster Parent in West Virginia?